Want to have your one-shining moment during March Madness? Have March Madness energy in June! ðŸ‘¿Last week with his team down 3 points in a semifinal game Marial Shayok took over. ðŸ‘ŒðŸ�¾He broke the game open with two clutch 3â€™s. His 3â€™s took Iowa State from trailing by three to winning by three points. The last of the clutch threeâ€™s was most impressive. ðŸ˜´Shayok was not given much space by the defender despite that, he sized him up, rocked him to sleep and got his feet set quickly for a well contested 3 from the wing. The shot bounced around the rim multiple times before falling in. ðŸ�€Many, may conclude that Shayok got the â€œlucky bounce,â€� or that he just threw up a prayer and was lucky to connect. â�—ï¸�Thatâ€™s not the case, no one works harder at their game in college basketball than Marial Shayok. 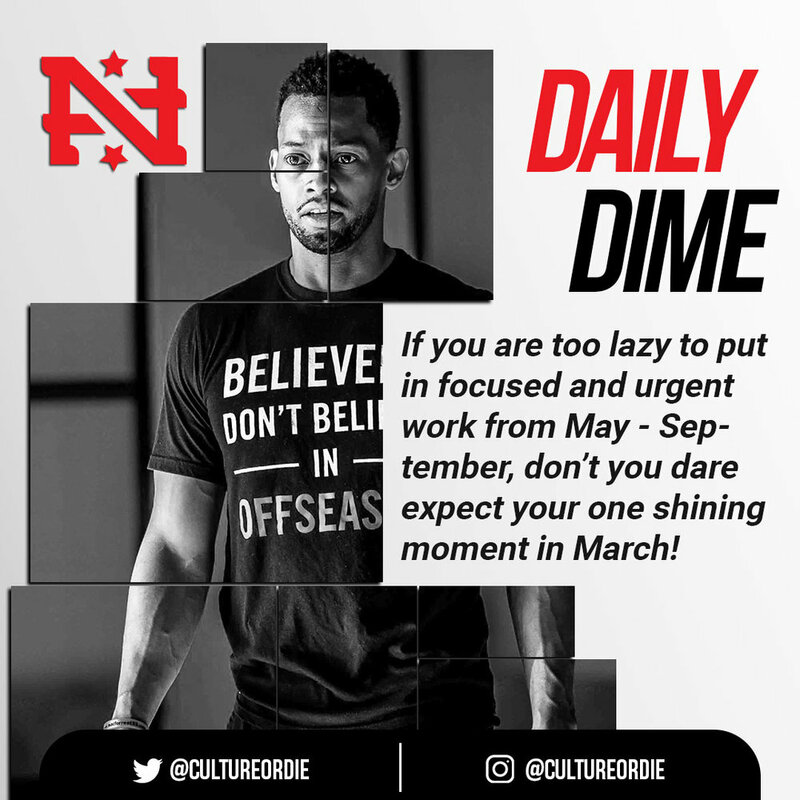 ðŸŒ± Proverbs 20:4 tells us, â€œA farmer too lazy to plant in the spring has nothing to harvest in the fall.â€� Simply put for us hoopers, if you are too lazy to put in focused and urgent work from May - September, donâ€™t you dare expect your one shining moment in March! ðŸ˜¤Shayok works on his game morning, noon and night. His focus and work ethic are uncommon, which is why his game is. He had a March Madness energy about working on his game from May - October, so his success is a shock to no one who knows him, and the same can be true for us if we go after our pursuits in life with the same type of energy.